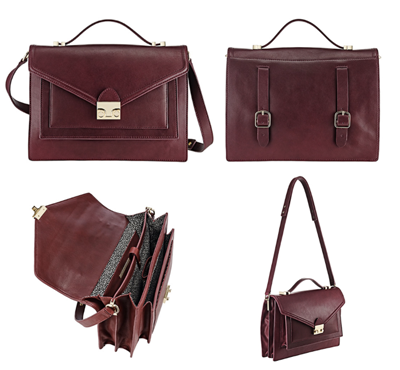 Following last week's post, inspired by Net-a-Porter's guide on colours to work into your wardrobe now, this week we are exploring burgundy and blush coloured bags from independent handbag designers. 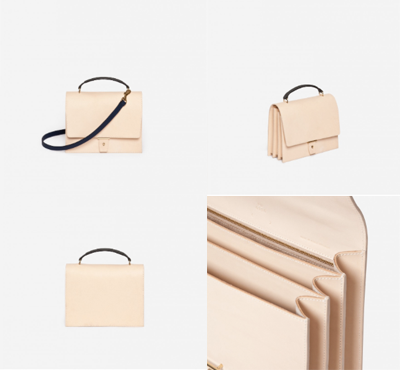 This beautiful, lady-like bag from Loeffler Randall has two straps on the back so it can attach to a bicycle - great for all you two wheel commuters out there. The stylish AB 3 from relatively new brand PB0110 has three separate compartments and also comes in grey and blue. 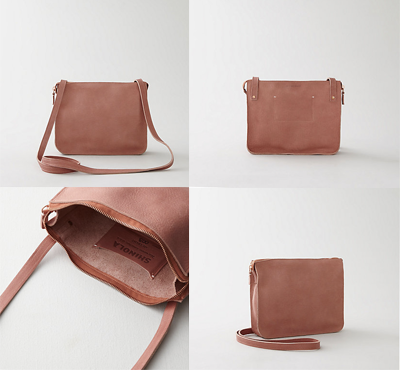 BoBelle is a London-based brand, founded in 2009, manufacturing in the UK. 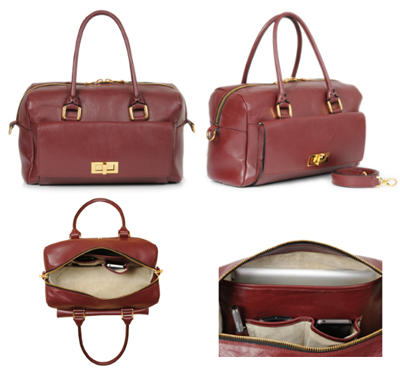 The interior is suede lined and there are plenty of pockets, including a one to fit your iPad, mobile and pen. Great for work and travel. Shinola is a new-to-me US-based brand that I discovered via the Steven Alan site. 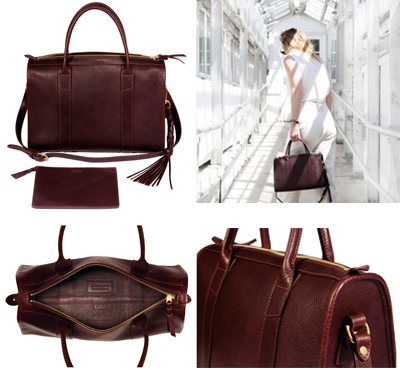 Lotuff Leather is another US-based brand and hand make their bags in the US from the finest vegetable tanned leather.